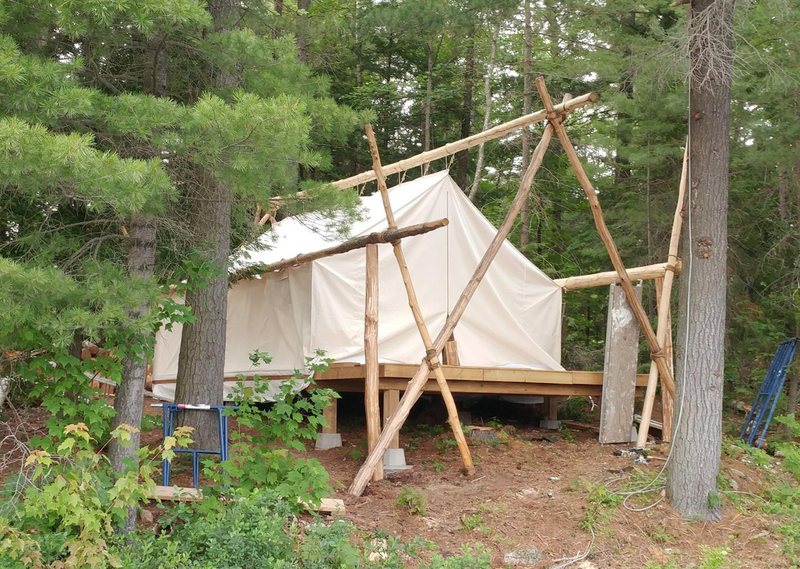 All of our tipis are designed to be both rugged and beautiful. 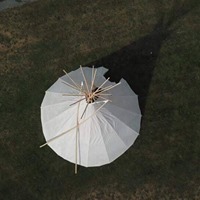 We use only the finest canvas on the market, producing tipis up to 30’ diameter in both symmetrical and leaned-back styles. We can provide liners, ozans, ropes, lacing pins and ground pegs along with custom painting. Poles are available seasonally, however on a limited basis. 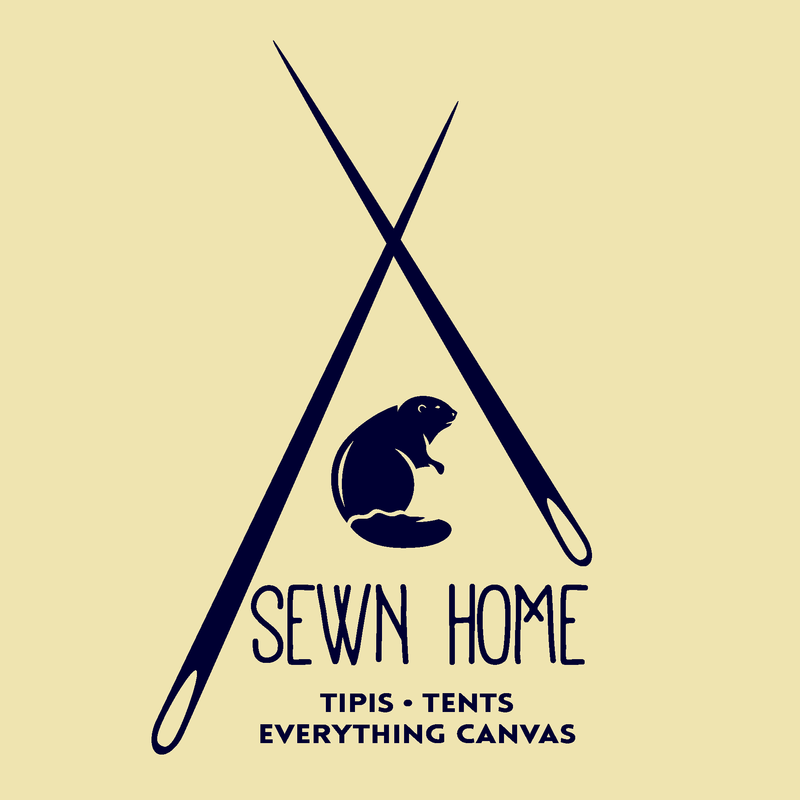 Sewn Home is honoured to provide covers for sweatlodges, shake tents, wiigiwams, teaching lodges and other custom canvas work. We are proud to be supplying these items to ceremonial people, friendship centers, health centers, educational institutions and more. We select the best possible materials for the job, work with our clients to come up with the best design, and craft each item with care and respect. 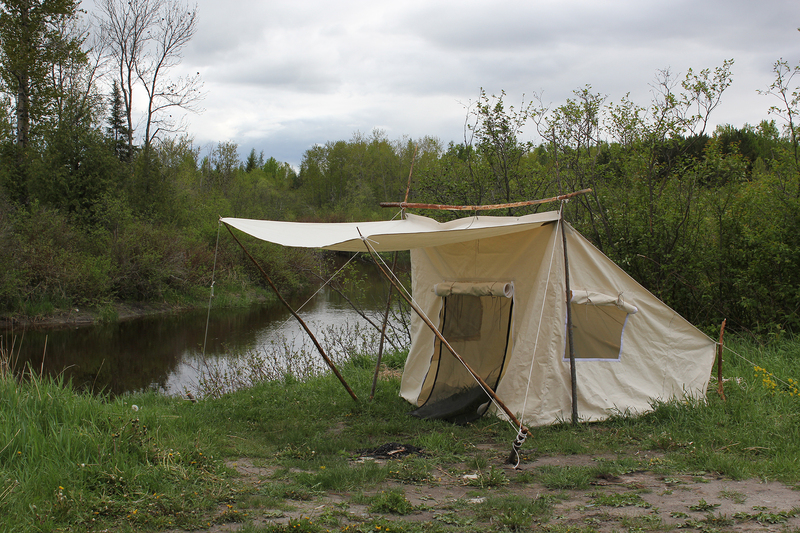 Our wall tents are made with only the best and longest-lasting materials. While all dimensions are possible, our standard sizes use the width of raw canvas as a guide, making them zero-waste. They come in three styles: Prospector, Historic and Internal-Framed. Regardless of the style, we customize them as you would like. Our selection of smaller tent styles to suit a wide range of purposes. 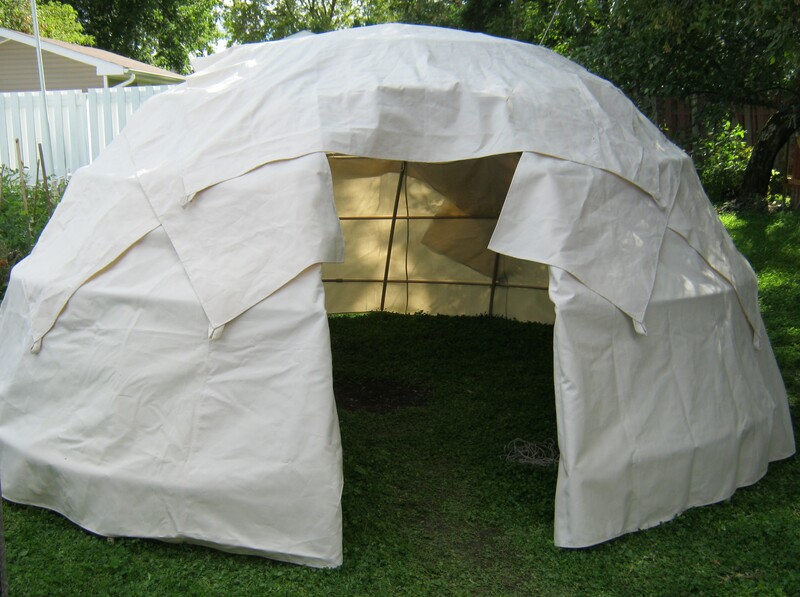 Our Eh-Frame tents, Baker tents, Centre pole tents and Wedge tents.